As a technological theater without predetermined performers, Render Ghost allows the viewers to stage as its guest performers. 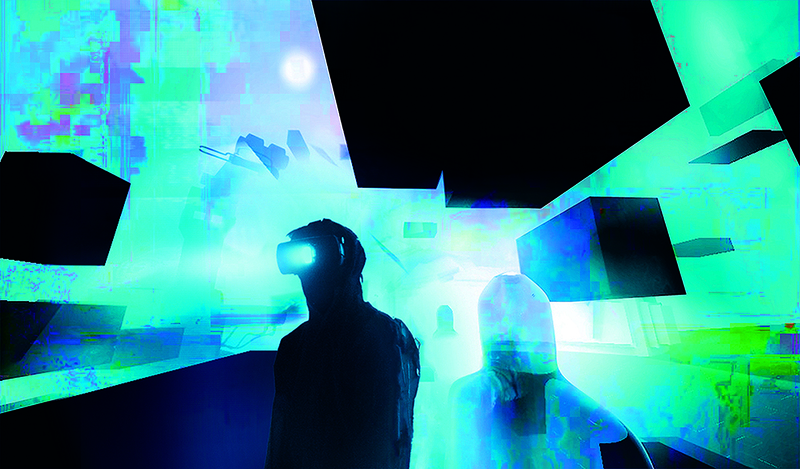 They immerse themselves in the audio-visual stimulations and spatial installations, thereby casting themselves adrift amidst reality and virtuality, and finally interpret the delight and sorrow they find in the real-virtual transition with their bodies. 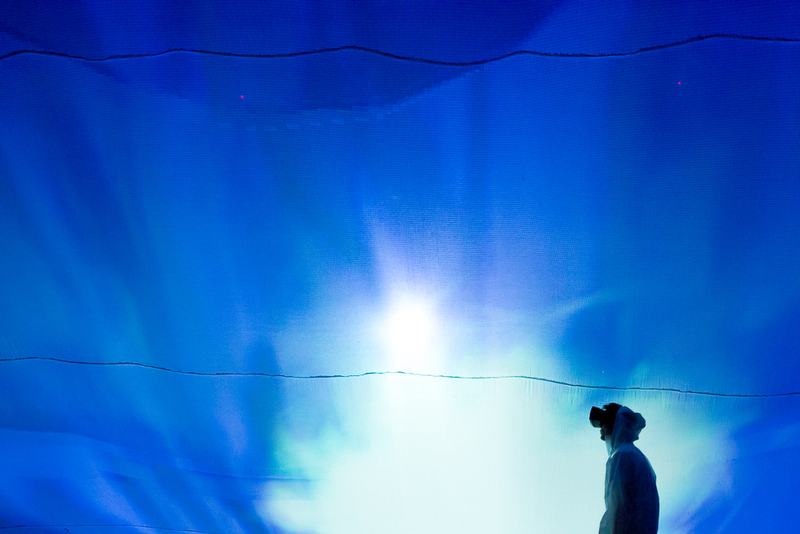 Wearing head-mounted displays and dust-free garments, the viewers wander in the theater space under the guidance of future consciousness of humanity. Through the horizons of the digital interface, the viewers not only witness but also personally participate in the events occurred in every corner of this space. Striding towards an indefinite future where reality and virtuality disintegrate concurrently, they play the drop scene of body and memory. Following its work Random nominated for the Digital Art Performance Awards in 2011, the new media artist group CBMI won the First Prize of the Digital Art Performance Awards this year for its work Render Ghost at a blow. It is not only a work that exudes a psychedelic charm, but also the featured performance of the 10th Digital Art Festival Taipei.